This K&M Stand is suitable for use with french horns as well as french shaped Eb horns. 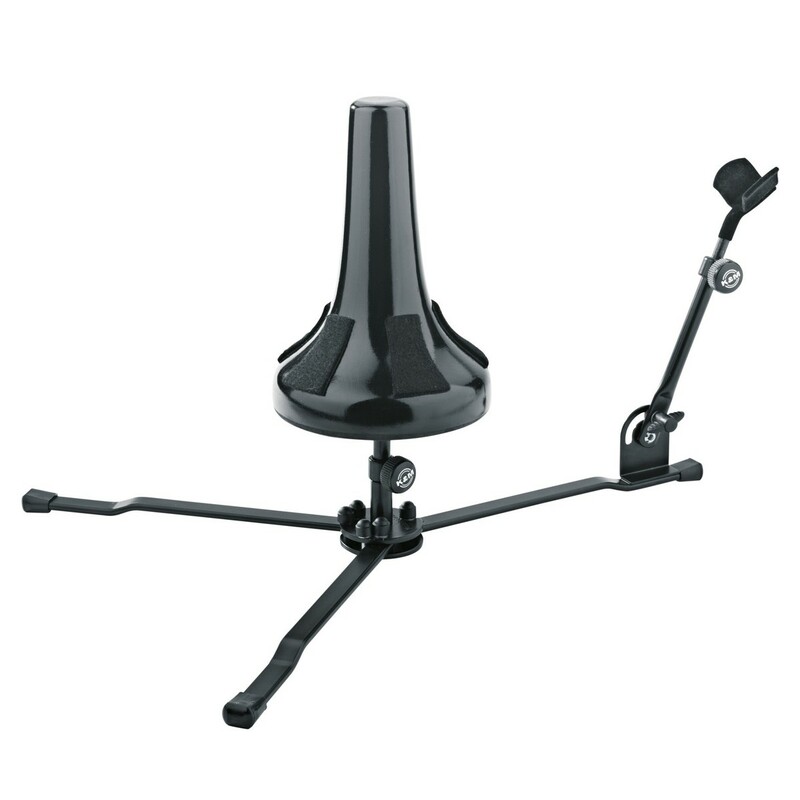 To fit both of these instruments the stand can be adjusted in height. The lightweight, black frame is made from steel and features a wooden peg. The peg is covered with felt pads to protect the instrument during use. Foldable legs ensure this stand is suitable for players on the go.